Show your support for the coal industry that keeps the lights on! Back of the shirt reads. 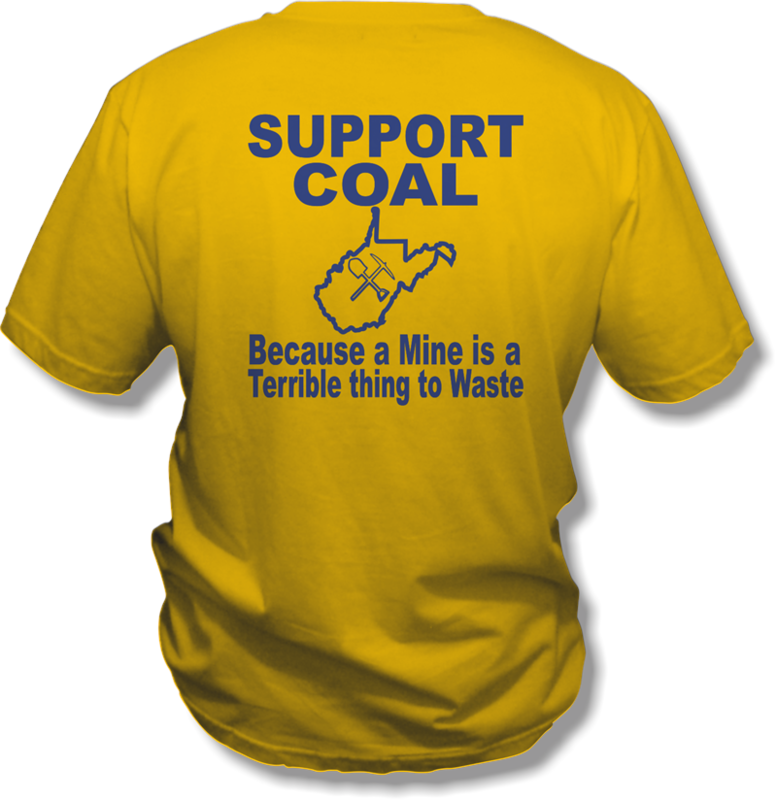 "Support Coal, Because a Mine is a Terrible Thing to Waste"